Almost 4 million animals were used in scientific procedures in Great Britain in 2017. The Home Office published the “Statistics of scientific procedures on living animals, Great Britain 2017” which disclosed 3.72 million live animals were used for scientific purposes. This number included 2496 dogs, 71 cats, 288 equines, 2215 primates. The vast majority continue to be mice, zebrafish and rats. There was a 10% decrease in the number of mice, as well as a decline in species including dogs, cats, rabbits and primates. In 2014, the government held a public consultation on Section 24 and no findings have been published to date. Each consultation costs the taxpayer up to £40,000. A change in policy and an end to the secrecy surrounding animal tests is urgently needed to enable science to save lives, which would be better for people and animals. On the 12th July 2018, the government released its Brexit White Paper, and this could have implications for the existing legislation that protects animals. It is anticipated that the UK will transpose European legislation as part of Brexit. This could be an important moment in terms of strengthening existing laws for animals in the UK, as well as speeding up the process that currently slows down alternative methods being accepted, if the UK government decides to implement a domestic regime for regulating chemicals, so it is important that the case to repeal section 24 continues to protect animals. But while the statistics reveal basic information such as the numbers of animals used, where they were bred, and rank their level of suffering, the reliability of the annual statistics is under intense scrutiny. Little is known about what life is actually like for each of those animals in a laboratory. “The Government Statistics supply the basic numbers about animal experiments in Great Britain, but we know very little about what life is like for these sentient animals. The truth about their accommodation, how they are fed, exercised, trained, tested and killed is hidden from the public and has been for many years. We also know nothing about the exact nature of each experimental procedure. As a nation of animal lovers, the British public is not able to access this information because it is illegal to disclose it thanks to the Secrecy Clause. We believe the public deserves to know the truth, but there is a concern it could be abandoned because of Brexit, which would be a travesty”. Section 24 of the Animals (Scientific Procedures) Act 1986 – the so-called ‘Secrecy Clause’ - makes it an offence punishable by up to two years’ imprisonment to disclose certain details about the use of animals for scientific procedures, even if the researchers carrying out the procedures want it to be known. Scientific bodies, animal welfare groups, and representatives of both major political parties have acknowledged the need to update or remove the clause, but the Government is yet to take action. 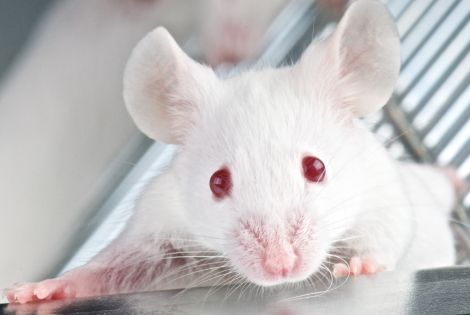 Join Naturewatch Foundation in calling on the new Minister of State with responsibility for animal experiments to urgently begin the process of repealing section 24 of the Animals (Scientific Procedures) Act so the British public can finally be truly informed about animal experiments. Please contact Baroness Williams of Trafford, Minister of State, and let her know you want section 24 repealed without further delay.